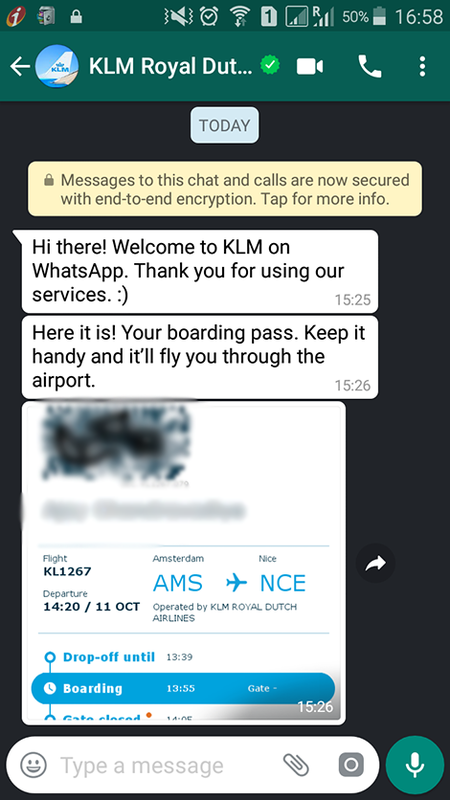 Summary: As the first European company, KLM brings their chatbot to WhatsApp with a verified business account. Dutch/French Airline KLM (part of AirFrance/KLM) brings their services to another level by integrating booking information, check-in, boarding pass and flight status updates through the most popular social media channel WhatsApp. They seems to be the first company in Europe with a so-called ‘Verified Business Account’ from WhatsApp. Dutch Airline KLM introduces payments through WeChat in China. You simply purchase your ticket through a regular channel like web or mobile, and you choose ‘WeChat Pay’ to finish your booking (Social Media WeChat, extremely populair in China, has a built-in booking system). Immediately after your payment, your receive flight information and booking documents through WeChat, and/or you can ask a question in simplified Chinese or English, 24/7 hours a day. Wanna try? Scan the QR code below. Intelligent Virtual Assistants: More Critical Than a Knowledgebase? Summary: Intelligent Virtual Assistants listen and learn, can you say the same about your knowledgebase? Read more about: Intelligent Virtual Assistants: More Critical Than a Knowledgebase?